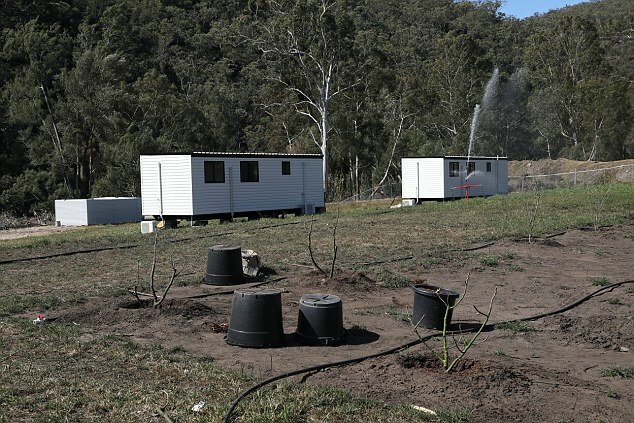 The reclusive Muslim sect building an illegal bush compound north of Sydney has been ordered to knock down every building on the site and not use it for religious worship. 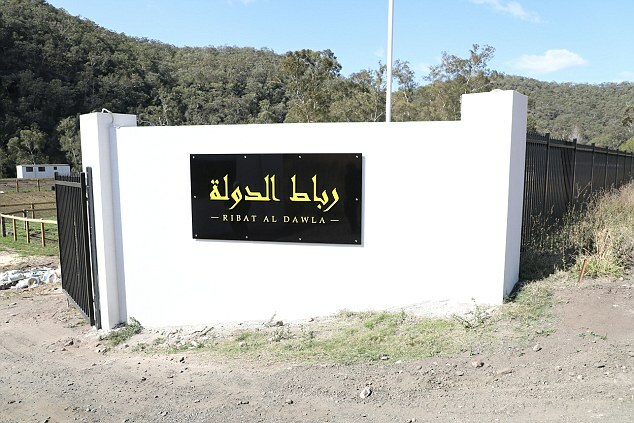 The Diwan Al Dawla guild has previously said it will not obey Australia law and indicated it would refuse to abide by any court rulings over its religious retreat at Colo. 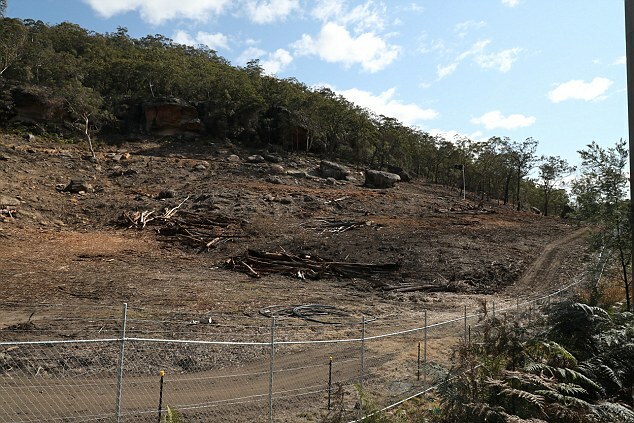 The Land and Environment Court found on Monday the sect had undertaken land clearing and earthworks in breach of planning laws and had built structures without approval. 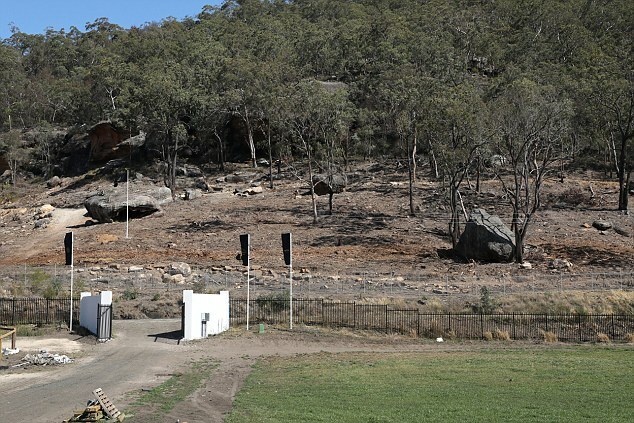 The guild’s founder, Dr Mustapha Kara-Ali, has previously refused Hawkesbury City Council officers access to the land, stating they are ‘Cruasaders’ and an affront to Islam. Dr Kara-Ali Dr Kari-Ali also refused to attend court because he did not recognise its authority. 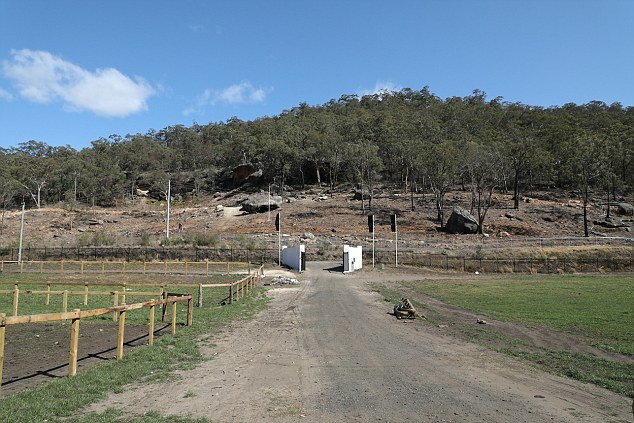 Justice Terry Sheahan ordered all structures on the site including an elaborate entrance, four flagpoles, three concrete slabs, a shed and a partly-built barn be demolished within 28 days. 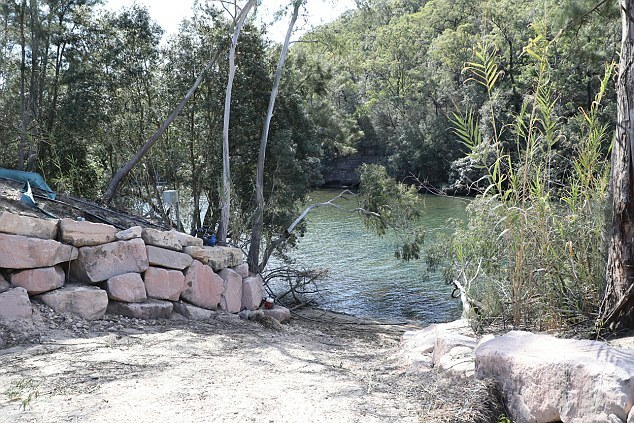 A ‘river entry ramp’ which council submitted was for boats and Diwan Al Dawla said was for baptisms had to be removed in the same timeframe. The order extends unless and until Diwan Al Dawla is granted appropriate development consent for the site. 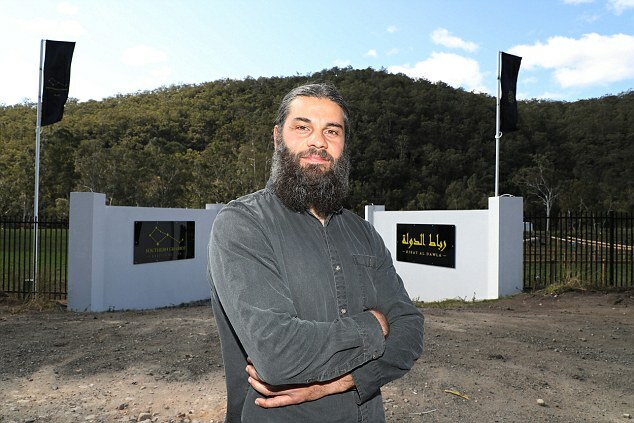 Diwan Al Dawla bought the property for $670,000 in May last year and began building what it calls the Southern Chariot religious site. 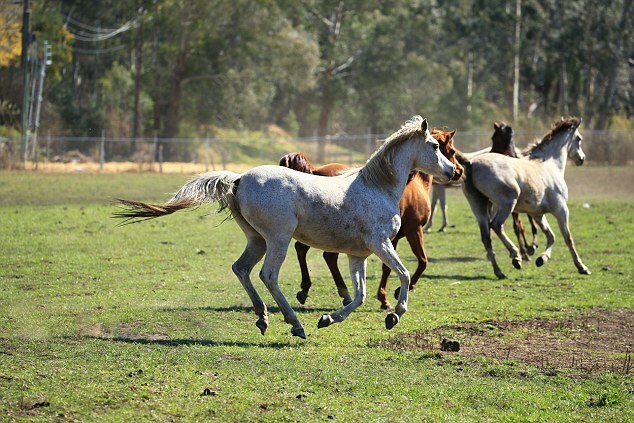 The 12 hectare property is home to about 30 Arabian horses which the group intends to use to help troubled Muslim youth, particularly from western Sydney, engage with God. 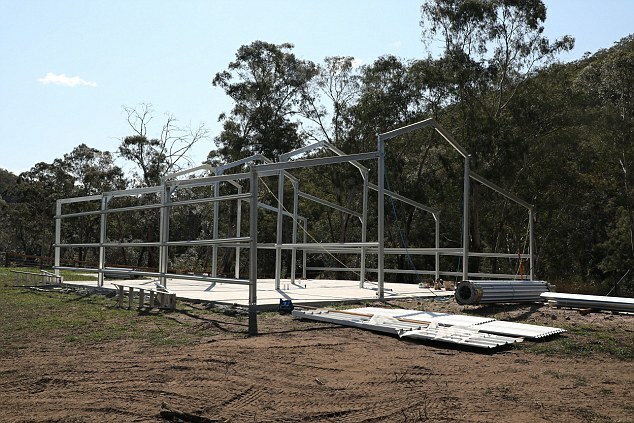 An elaborate structure described by council as a ‘boat ramp’ is in fact a walkway for people to be baptised in the Colo River, according to Dr Kara-Ali. 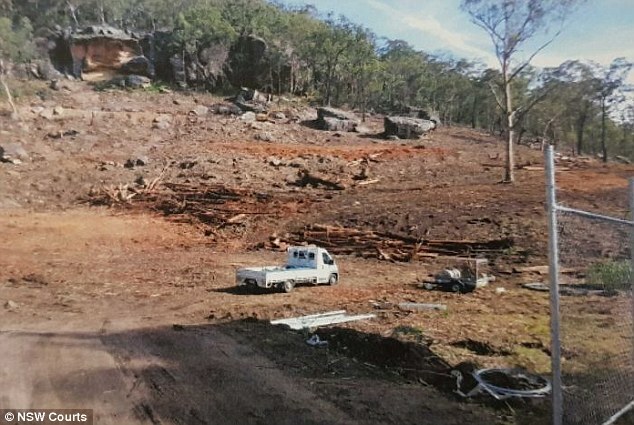 The council launched civil action against Dr Kari-Ali and his brother Diaa Kara-Ali alleging the men carried out illegal land clearing and earthworks and built gates, fences and driveways without approval. 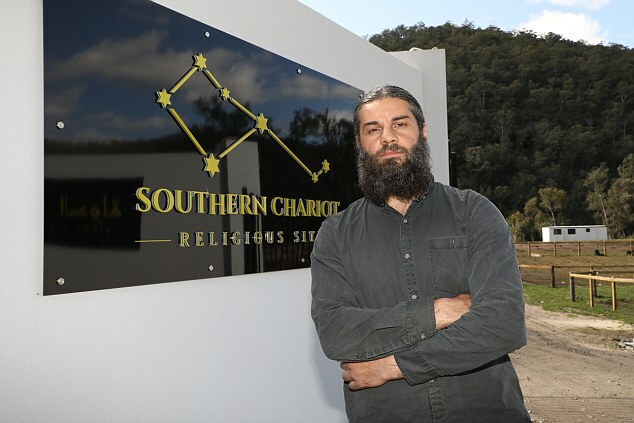 Dr Kara-Ali considers any government symbol which incorporated a version of a Christian cross – including the Southern Cross and the Cross of St George – to be an affront to Islam. He believes any authority which uses such a symbol – such as the police and the courts – to be religious, rather than secular. ‘Crusaders, absolutely, by virtue of their use of Crusader symbols,’ Dr Kara-Ali said. ‘My main issue is the interference between the secular and the religious. 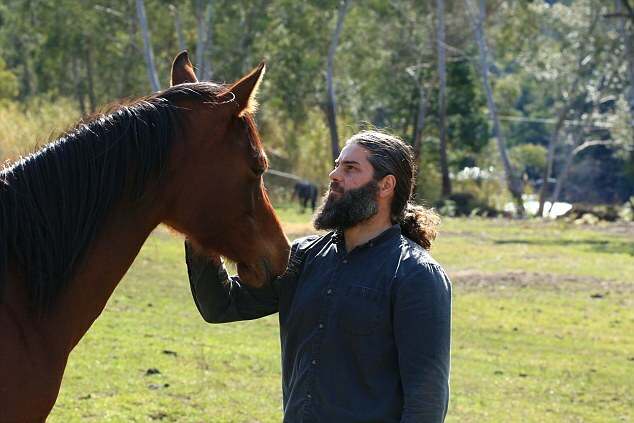 What we are saying in a nutshell is the country of Australia is entrenched in secular symbolism and religious symbolism that stretches back to the time of the Crusades. ‘Remove these religious symbols and we can talk about secular government. But not now. The Kara-Ali brothers were due in court on Monday last week but did not attend. A hearing went ahead without them or a lawyer acting on their behalf. 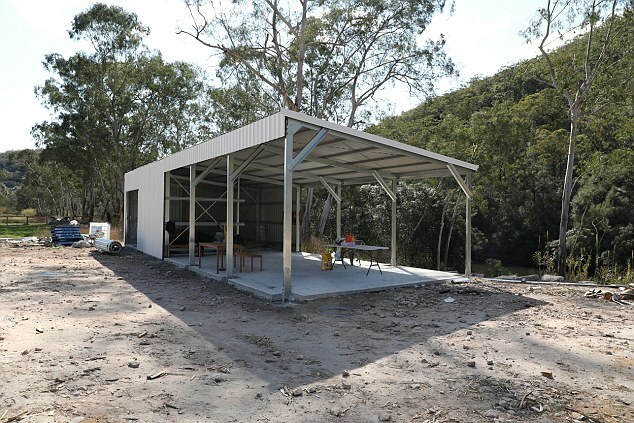 Lawyer Mark Cottom for the council said an officer had requested police accompany them on an inspection of the property because they might have required to force entry,’ according to the ABC. ‘The police appear to have significant concerns in relation to safety… wishing to have the riot squad and Polair available,’ Mr Cottom said. Dr Kara-Ali said that was ‘just plain ridiculous’. Dr Kara-Ali declined last Tuesday to say how many members of Diwan Al Dawla there were. 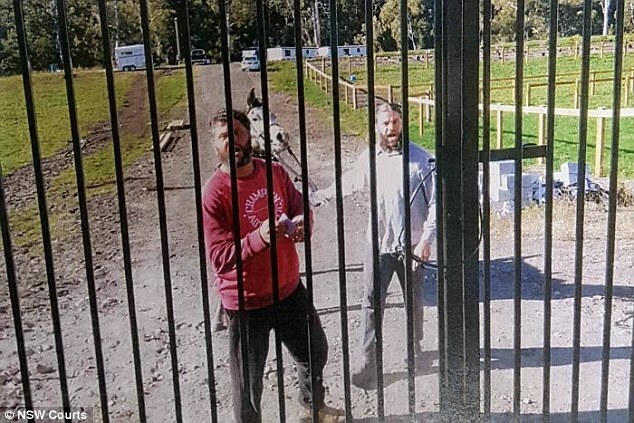 The court heard the conflict turned ugly last month when three council officers attended the property to serve papers on the Kara-Ali brothers. A dashcam video tendered to the court showed the pair confront the officers. ‘This gate is open,’ he said. ‘The Land with its Colo River access serves as a reclusive place of worship. ‘Religious activities, according to our ACNC registered governing rules… must remain independent of entities that represent secular socio-economic structures and modes of living,’ he wrote. That claim was not supported by the ACNC. It is way past time to …. • Remove the islamophile infiltrators from their stolen “authority” positions !! • Permanently “incarcerate” these islamophile Traitor/Seditioner/Subversive “authorities” who aid and assist the immigration and residence of invader islams and diversifing criminal African tribals !! … Remove and Permanently “incarcerate” Traitors!!! • Stop the immigration of invader islams and diversifing criminal African tribals !! • Reverse the residency of invader islams and diversifing criminal African tribals !! … Expel invaders and diversifiers !!! Educate! gatesofvienna(dot)net see the fabulous video lecture: What Muhammad? What Qu’ran? What Mecca? and/or get Spencer’s “History of Jihad”. Those two items will reveal a ton of truth. I, for one, am tired of lies. 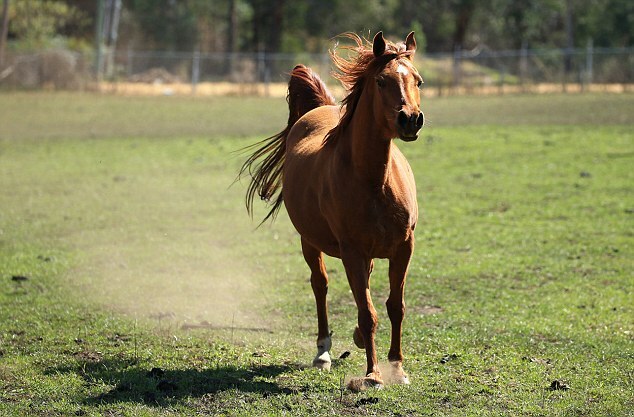 Go get some fresh air!